BiD Masters is the business development division of Ad Astra (UK) Ltd that has JOSCAR accreditation. BiD Masters is focussed on providing specialist advice, support and training on winning business through competitive tendering. 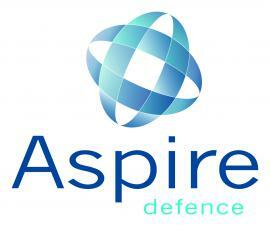 Our clients are mostly from the defence, aviation, maritime, transport and infrastructure sectors. Our core team has skills that are deployed across the company as a whole, whilst others are specialists within specific fields. Our skillset includes capture planning, bid management, copywriting, editing, reviewing, graphic design, reprographics, AWARD© advice, branding, marketing, facilitation, coordination, and training. We operate in a flexible manner to ensure we deliver cost-effective and dependable support. We have developed a proven methodolgy for creating compelling proposals, called REWARD©, which has clear principles for success, but is tailorable to individual clients' policies and procedures. We are proud to support our global clients, who either retain our services or commission us on a regular basis. This demonstrates the trust and value our clients place in our team. CMS Strategic has been supporting leading aerospace, defence and security companies for 20 years. Providing practical public, political and press relations, business development and reputation management services, CMS Strategic is trusted to deliver by a broad spectrum of companies in the UK, Europe, Australasia and North America, from prime contractors to world class niche suppliers. JCB is one of the world’s leading manufacturers of engineering and mechanical handling equipment with a range of over 300 machines. JCB has been supplying equipment to governments for over 35 year. Most of the supplied machines have been Commercial Off The Shelf (COTS) modified to meet military requirements. Modifications include protection, winterization, waterproofing, paint, lights, power and stowage. To meet the challenges of contemporary operations JCB has developed a range of specialist equipment including protection and high mobility. These latter machines include the HMEE which is in service with 8 countries with over 850 operational machines. In addition to purely military applications, many of JCB’s machines have direct applicability to Disaster Relief operations where their mobility and utility enable immediate responses to relevant challenges. All JCB equipment is supported throughout their life by a unique global support system with outlets in 157 countries enabling maximum operating usage. Lovell is a leading UK provider of affordable housing. The company has expertise in new-build, regeneration and refurbishment while its responsive and planned maintenance business Lovell Respond provides comprehensive maintenance and estates management services. With offices in England, Scotland and Wales, Lovell offers a unique one-stop shop of services with the ability to build homes, offer a full menu of tenure options and maintenance for life. Lovell is part of Morgan Sindall Group plc, a leading UK construction and regeneration group operating through four divisions of fit out, construction and infrastructure, affordable housing and urban regeneration, and an investment unit. In partnership with other members of the Morgan Sindall Group, Lovell would like to use its expertise to develop new housing models for MoD personnel. We are particularly interested in using the companys experience of cost modelling and cross subsidy arrangements to fund and provide community activities, buildings and affordable housing for members of the armed forces. ADS Member, MGA Group, is offering ADS Members a complimentary, two hour workshop to review your brand communications. This could include but not limited to, an audit of your brand messaging or advertising, a discussion about your internal communications programmes to raise engagement or a deep-dive into the way you drive sales enablement. With a track record of 25 years working in the Aerospace, Defence and Security sectors, MGA has the industry credentials and breadth of experience to work with all levels of stakeholders in your business. Initial enquiries should be directed to Damien Millns, Managing Director at contact@mga-ideas.com or please call Damien or Andrew on +44 (0)20 7186 5101 as we’d be more than happy to discuss this with you. We look forward to hearing from you. 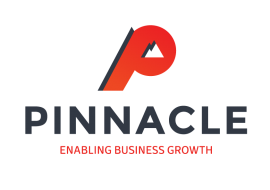 Pinnacle is a business advisory firm, with the key goal of enabling business growth within its client's organisations. Pinnacle can support our clients from 3 different perspectives: COMMERCIAL, OPERATIONAL and TECHNICAL. Rubb aviation buildings provide the quality solution to aircraft and helicopter hangar requirements. With unmatched relocatable buildings in action across the globe, this flexible range can be adapted to suit individual needs. Rubb's standard range of aviation structures offer several benefits over traditional buildings while the military EFASS range of hangars, sunshades, workshops and warehouses is designed to be rapidly deployed anywhere in the world.